We will be on the air today with our host Evangelist, Dr. Sha'ron Westbrooks from "God's Inputs for You". 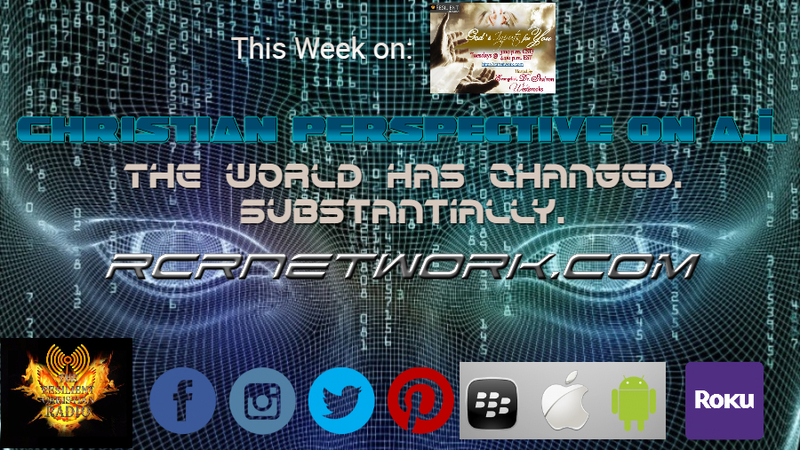 The topic will be “Christian Perspective on A.I. with Cleveland Rhodes"
AI is quickly advancing, and its moral trajectory is at odds with biblical morality, values, and assertions about reality. AI aspires to replicate human minds, but we know only real humans bear the image and likeness of God. AI’s atheistic proponents assume that human beings can be reduced to a set of cognitive patterns, a numerical code, a mathematical formula. As mentioned, this denies the Christian doctrine of creation and the Bible's anthropology. Please join us every Monday for God's Inputs for You @ 9 PM CST, 10 PM EST, and 7 PM PST.